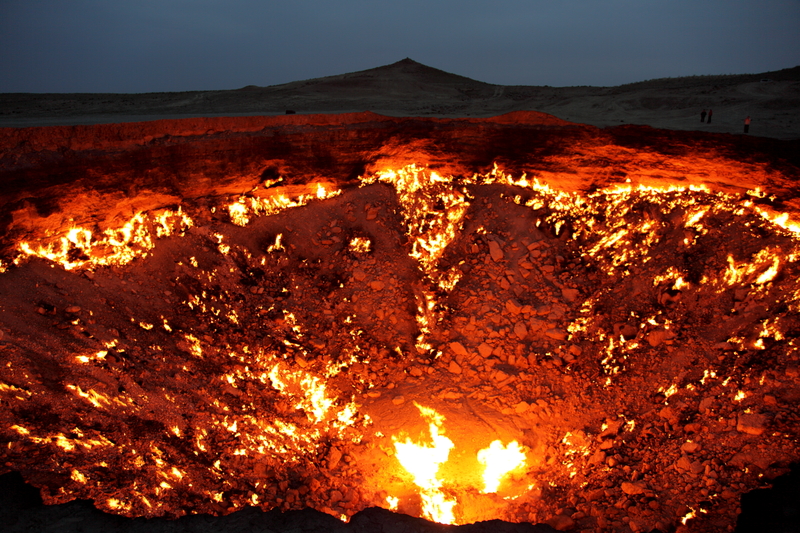 New Scientific Discovery May Have Located Actual Hell Where We Least Expected It! Is Hell on another world? A new discovery by scientists opens that possibility. Could this be the missing piece to the puzzle? Journey there now, here is the story. Scientists have been hunting for planets outside of our Solar System – exoplanets – for decades, and we’ve found an incredible tapestry: some appear potentially habitable, some appear to orbit two stars rather than one, and some are simply enormous. Every now and then, a new type of exoplanet is discovered, and perhaps none are as strange as CoRoT-7b. This world is covered in oceans of lava, riddled with cataclysmic volcanism, and contains an atmosphere of vaporized rock that is being eaten away by its star’s extreme heat. It is hell in deep space. Io, inarguably, is the volcanic king of our Solar System. Its internal heat is generated by a mechanism known as tidal heating. Jupiter’s immense gravitational pull, amplified by two other moons, tears Io’s innards apart, turning solid rock into molten magma, which erupts spectacularly on its surface. 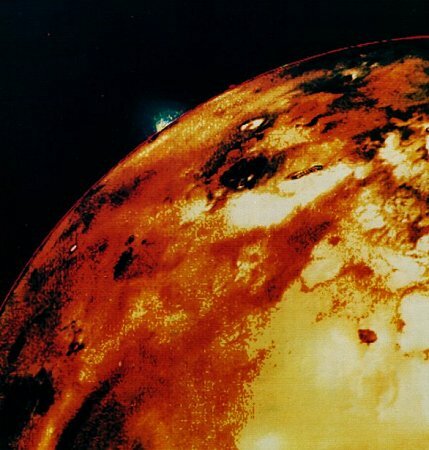 This violent heat escape, aided by Io’s very low atmospheric pressure, produces eruption plumes that reach heights of 500 kilometers (310 miles), higher than sixty Mount Everests stacked on top of each other. But the exoplanet CoRoT-7b, found far from our little corner of the galaxy, puts Io to shame: It is the stripped remains of a gas giant, once a vast super planet before being blasted by its chaotic parent star’s paroxysmal radiation. It is now a bizarre world of extreme temperature differences, destructive volcanoes, and persistently molten lava, located in the constellation of Monoceros. CoRoT-7b, named after the French Space Agency telescope that discovered it, orbits a star 480 light-years from Earth, meaning that we are seeing it as it would have looked during the time of Leonardo da Vinci. It is five times heavier than the Earth, roughly twice the size of our planet, and definitely rocky. 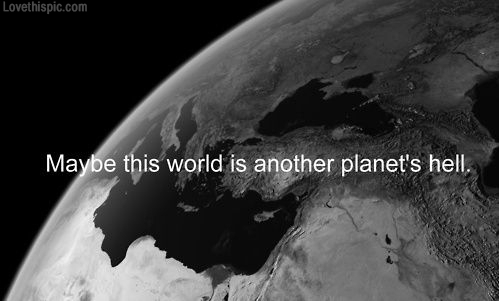 But the similarities with Earth end there. Firstly, the immense gravitational pull that its parent star has on it means that its rotation has been altered: It fully turns on its axis only once as it makes a single orbit of the star. This means that one side (hemisphere) is always facing the star and one is always facing away. This is known as tidal locking, a phenomenon observed with our own Moon. Consequently, the far side of this planet is always in the star’s shadow, with temperatures dropping as low as -210°C (-350°F); this is despite the planet being 23 times closer to its yellow dwarf star than Mercury is to our own Sun. “CoRoT-7b is almost 60 times closer to its star than Earth, so the star appears almost 360 times larger than the sun does in our sky,” Brian Jackson, a researcher at NASA’s Goddard Space Flight Center, said in a statement. The side bombarded with starlight and solar radiation is far from cold. With temperatures of up to 2,200°C (4,000°F), it is hot enough to vaporize any known rock. This means that most solid substances on this side of the planet would immediately sublimate, changing from a solid to a gas and bypassing any liquid phase. Remarkably, the atmosphere of this hellish world could have weather just like we experience on Earth, with clouds that produce rain, but with one major difference. Instead of condensing water falling from the sky as rain, the atmosphere of CoRoT-7b is likely made up of vaporized rock, which sometimes condenses and falls out of the alien sky as solid pebbles. This unprecedented surface heating is clearly causing vaporization at incredible speeds, and some researchers think that this planet may even be losing its atmosphere into space altogether. In fact, when Jackson’s team of researchers modeled the atmosphere of CoRoT-7b, they found that there would be no discernible amounts of gases normally found in rocky planetary atmospheres. A study modeling this planet’s mass loss through this heating mechanism revealed something striking: When the planet first formed, it should have had the same mass as over100 Earths, probably orbiting about 50 times the distance from its parent star than it is presently. Could this exoplanet have once been a huge gas giant? Recent planetary models show that gas giants in other star systems tend to quickly tumble towards their parent stars after forming, gobbling up the inner rocky planets as they do. In fact, the only reason this didn’t happen to our own Solar System – with Jupiter tumbling inwards and consuming the protoplanetary material for Mars, Earth, Venus and Mercury – is because Saturn formed behind it, pulling at it with its strong gravitational field and stopping its descent. Gas giants that do fall towards their parent star, known as “hot Jupiters,” begin to violently evaporate as they do, with the hydrogen and helium gases in their atmospheres sublimating into space. CoRoT-7b could have suffered the same fate: It could have been a gas giant in ancient times before falling inwards, its atmosphere fading away. This means that, right now, CoRoT-7b could be the remnant of a gas giant’s core, a ghost of a once-mighty planet. Terrifyingly, even if it was originally just a rocky planet, much of its mass would have been removed as it fell towards it parent star anyway due to the extreme temperatures its star-facing hemisphere experienced. CoRoT-7b’s bizarre history isn’t even its most dramatic feature. The same tidal heating mechanism that generates the volcanism on Io could be at work here, with two nearby planets perturbing the orbit of CoRoT-7b, tearing up its interior and generating vast amounts of heat. This heat will want to escape into space, and it will do so as spectacular volcanic eruptions. The dayside will certainly experience powerful volcanism, but even the side in perpetual night will have some activity. Weirdly, this means that any nightside volcanic eruption will launch molten material into a freezing cold environment, which will cool rapidly and fall back as volcanic snow. Either way, planetary scientists and volcanologists think that this gigantic rock could be home to more intensely violent volcanic eruptions than our Solar System’s own Io, leading to the invention of a category of new exoplanets: the Super-Ios. At the very least, it is certainly a lava world, with oceans of liquid fire covering much of its surface. We do have some quirky volcanoes in our own Solar System. Enceladus has cryovolcanoes– yes, volcanoes made of ice. The water there is the equivalent of magma and lava on Earth, and the ice stands in for solid rock. 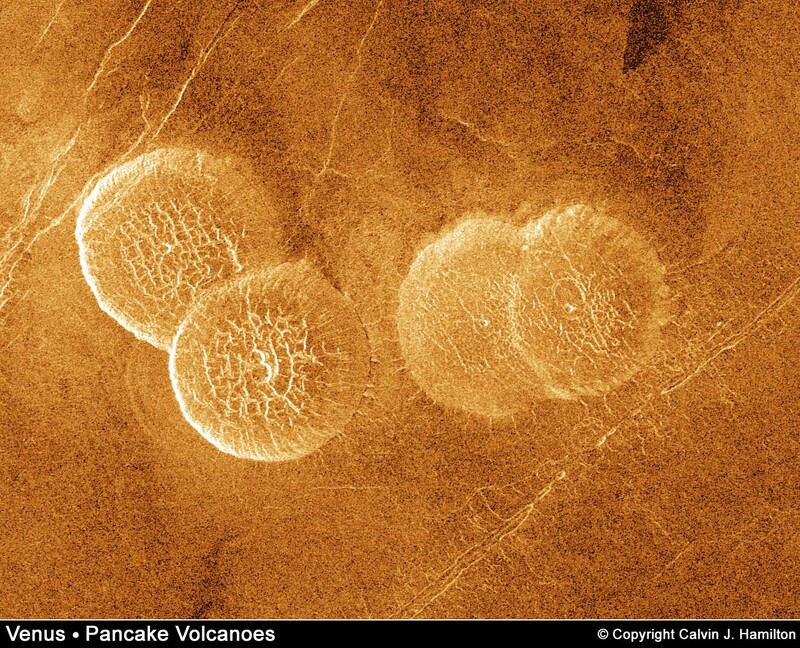 Venusian volcanism produces colossal pancakes, but not the sort of ones you might like to ingest. The lava that oozes unceremoniously out of Venus’ volcanoes spreads out over vast distances, crushed under the planet’s extreme atmospheric pressures. CoRoT-7b is indubitably stranger than them all; it is a hellish world in the depths of space, making Io look fairly tame in comparison. Or, maybe we have all this backwards?